Brea, Calif., recruiter Staff Sgt. 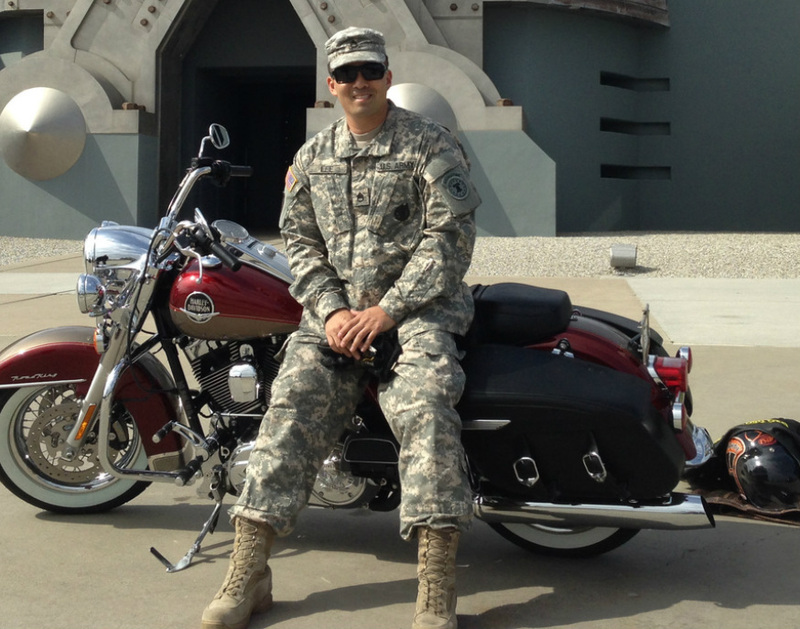 David Lee will be riding in the 10-day Run for the Wall campaign beginning May 14. 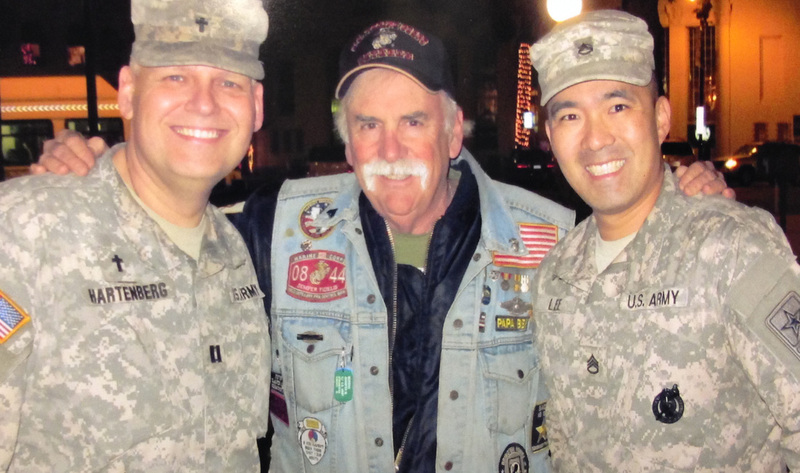 The annual ride honors veterans. On May 14, Brea, Calif., recruiter Staff Sgt. David Lee will begin a 10-day, cross-country motorcycle ride to Washington, D.C. His journey will be complete when he and hundreds of other riders arrive at the Vietnam Memorial Wall on Memorial Day, capping off the 26th annual Run for the Wall campaign, which recognizes the contributions and sacrifices made by all veterans. The mission of the campaign is to promote healing among ALL veterans and their families and friends, to call for an accounting of all Prisoners of War and those Missing in Action (POW/MIA), to honor the memory of those Killed in Action (KIA) from all wars, and to support our military personnel all over the world. This is Lee first ride to the wall, but likely not his last. He explains why he decided to make the journey. When asked about this cross country motorcycle ride I’m going on, I always respond with the same opening sentence; It all started as a casual conversation over dinner. For the last year or so, I have been hanging out with the Plaza Patriots, a group of veterans and supporters who gather together every Wednesday at 6 p.m. at the Plaza in Orange, Calif. In the middle of the plaza stands a giant flag pole that proudly displays our national colors. Every Wednesday, rain or shine, no matter what, even on a holiday, the Plaza Patriots gather to give proper respect to old glory. They bring down the flag, and a group of vets from all eras going back to World War II help fold it. The unofficial leader of this group, Mark Wayland, a Vietnam vet, always enjoyed having recruiters at the ceremony. Before long, I found myself there every week. It became my mid-week pick-me-up. It's was refreshing and reminds me of how important it is to serve our country. This year will be the 26th running of the Run for the Wall. In previous years as many as 600 riders had begun the ride in Rancho Cucamonga, Calif., picking up more riders along the route to Washington DC. The ride ends Memorial Day weekend with what’s called the Rolling Thunder Ride for Freedom. Hundreds of thousands of riders will be riding pass the memorials in Washington D.C. This is a ride of a lifetime. I find it a real great capstone to my Army career. I made the decision to ride this year rather quickly, but I did not want to stop there. I wanted to open this up to my local community. I decided to reach out to local veterans’ organizations, city council members and school administrators. I had a very simple request; If you know someone who has a family member, friend, or battle buddy whose name is engraved on the Vietnam Memorial Wall, I want to ride in their honor. I will carry a small token such as a letter, a patch or picture, and I will place it at the wall for you. If you want a charcoal rubbing of your hero, I will be honored to get the rubbing and bring it back to you. This is my way of giving back to my community and to honor those service members who came before me and all of us. I have been preparing for this ride for the last three months. I traded in my Harley Softail Custom for a Road King (a proper touring bike). I did my research by reading the blogs on the Run for the Wall website. I spoke to many riders that have done the ride in the past, getting tips and tricks. They all tell me the same thing; “It will be the most rewarding experience of your life”. I start my ride May 14. Twenty staff members from USAREC headquarters plan to meet me in Corydon, Ind., and ride to Mt. Sterling, Ky. Anyone wishing to ride can find more information at www.rftw.org. I’ll be following the Central route. I look forward to seeing you out there. If anyone has any requests from your local communities, please let me know. I will be happy to take small tokens to the wall or bring back a charcoal rub. Note: If you talk about my campaign on social media, please use the hashtag #IRide4U.